My sister and I are always looking for quick meals during the week. This was my choice today. It’s quick and easy. You don’t even miss the meat! 2. Dice one onion and add to pan over medium heat for 5 min. 3. Prepare portobella mushrooms and add to onion and oil. 4. Add chorizo to mixture and let simmer over medium heat for 10 minutes. 5. Add entire jar of Arabiatta sauce and let simmer over low heat for 10 minutes. 6. Add 3 tablespoons of red wine and simmer an additional 10 minutes. 1. Fill a large pot 1/2 way with water. Add 1 tablesppon of olive oil, a dash of salt, and a tablespoon of red wine. 3. Add pack a whole wheat linguine and cook to desired level. For al dente no more than 10 minutes. 1. Dice 1/2 onion and place in a bowl with 1/4 cup of red wine. 2. Place in microwave for 90 seconds. 3. 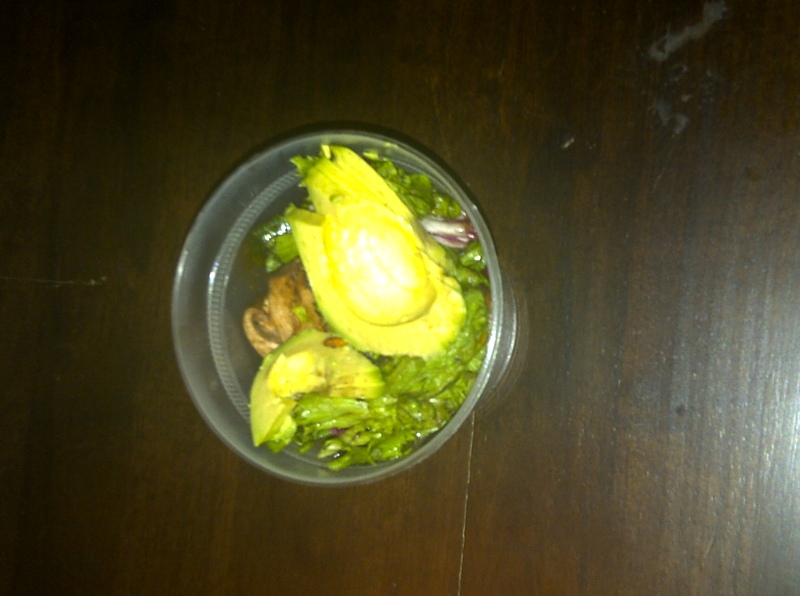 Mix salad with 1/4 pack of mushrooms, 1 sliced avocado. 5. Mix 1 tablespoon of olive oil with wine and onion mixture and drizzle on top of salad. Cool. 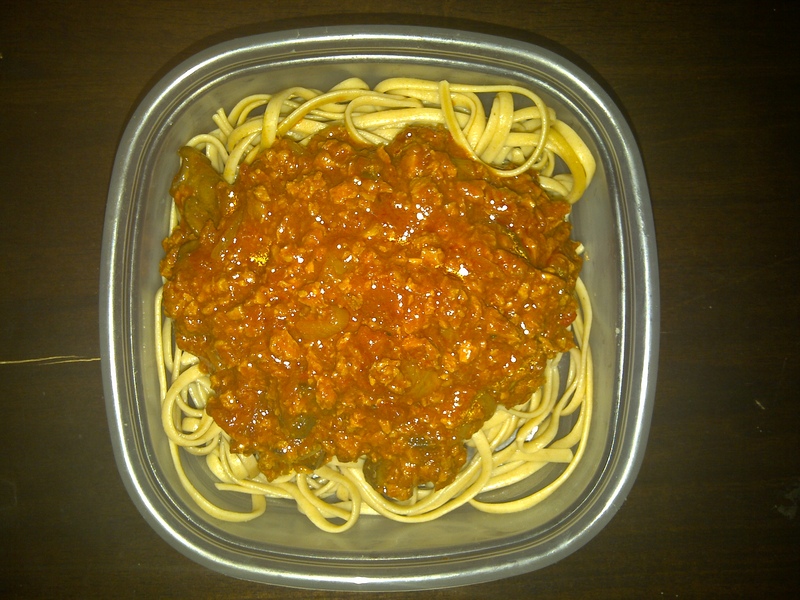 You idea about the vegan meat sauce is brilliant! I wanna give it a try! Hope you find interesting recipes that make you wanna try.